Ear molds should only ever be taken by a fully trained audiologist. They can be used for an ever-increasing number of purposes. Swim plugs – These are particularly useful for people with perforated ear- drums or for those prone to ear infections. 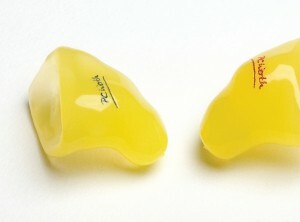 Keeping the ear dry is vital and custom- made earmolds provide secure protection. 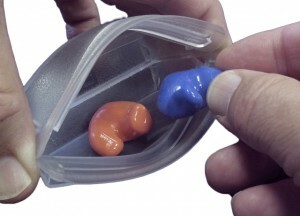 Available in a wide range of colours, ear molds can be further customized with different finishes. Swim plugs are also recommended for holidays abroad where pool hygiene can be compromised. Sleep plugs – Made from a soft, compliant, silicone material, sleep plugs are easy to wear for short or long periods of time. Popular with long haul flight passengers, night-shift workers, hotel guests and people living near busy roads, these snugly fitting devices ensure a great nights sleep. They are also invaluable if your partner snores!! Custom MP3 / Personal headphone ear pieces – If you want to enjoy the best listening experience from your MP3 player or smart phone, custom ear pieces are unbeatable. Not only do custom ear molds prevent outside noise leaking in, they also prevent sound leaking out, making your music sound better than ever.